Elzahraa Jadallah is a journalist and writer currently studying psychology at Al-Ahfad University. Elzahraa worked as a producer and presenter of TV programmes on the internet. 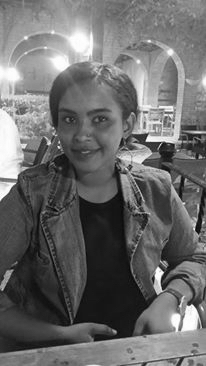 She works at the cultural department of Sudan Vision, and as a columnist with al-Tayyar newspaper. Elzahraa published a number of short stories on online and print outlets, and she is finalising a number of new manuscripts. Elzahraa joined The Niles in June 2016.